Cleaning of the window glass, Inside & Out. Great for freshening up your view or for more regular service. Cleaning of the window glass and washing the screens with our special screen washer. This level of service comes with our 10 day rain guarantee for homes. If it rains in ten days and any of the windows spot, call us within that ten days and we will come out and re-clean those windows that spotted, no charge! Treat your windows to the ultimate window cleaning experience. Cleaning of the window glass, washing the screens and vacuuming of the tracks. Our team arrives at your home or business to deliver a fine-tuned window cleaning system for your needs. It’s a system that’s proven itself over 40 years to leave your windows not only streak-free but also gleaming and often in better shape than before. The results: we brighten your world one view at a time. indow+ Treat your windows to the ultimate window cleaning experience. Great views are even better when you have streak-free, grime-free windows to see them through. But no matter what your view might be, a clean home starts with sparkling windows. It’s like surrounding yourself with visible reminders that sometimes, a fresh outlook is all you need and the world is a great place to be. The ultimate in window cleaning services includes scratch removal, too. 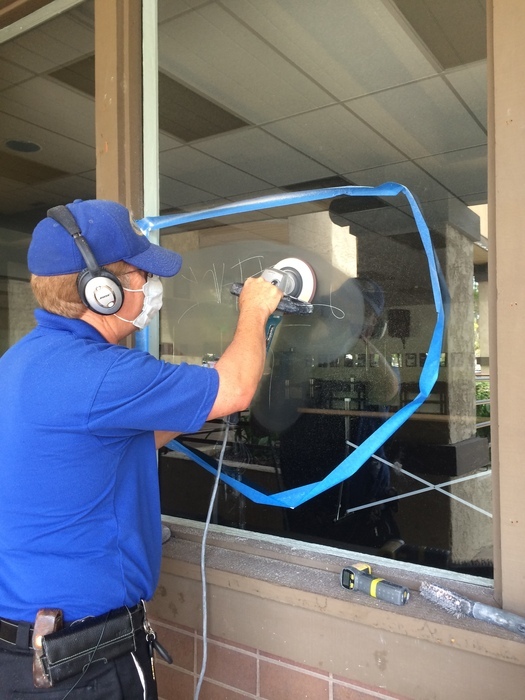 Brian’s Window Service helps homeowners and business owners whose property has been the target of vandalism: namely, etching, scratching, and damage from acid. 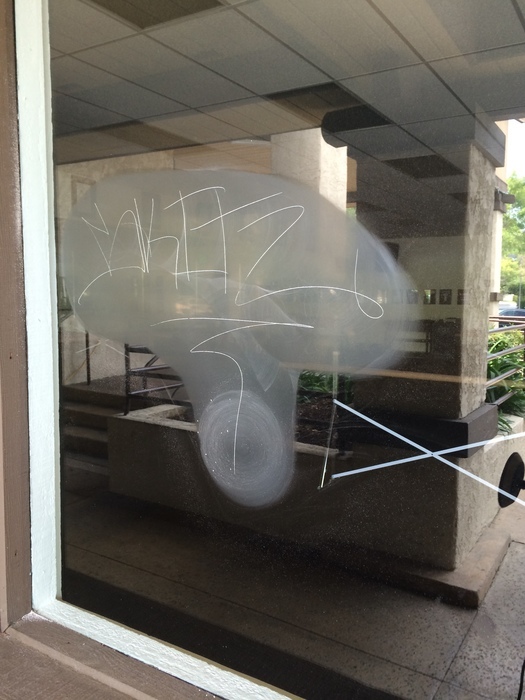 We know that graffiti can be bad for business, unsettling to home life, and sometimes downright hurtful. We are equipped to remove scratches in your windows and we’re prepared to do it fast. Scratch removal is a value-added service, too. It’s far more economical than replacing your windows. It’s also better for the environment because it’s less resource-intensive than buying a whole new window or glass table top. 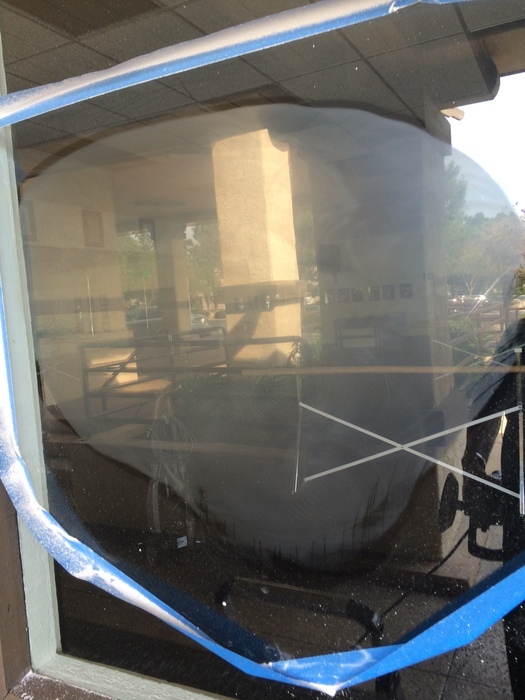 We’ll help you get your window glass or table top back to its sparkling clarity, just the way it was before. From cleaning services to scratch removal, Brian’s Window Service helps Ventura County-area property owners get the most out of living, starting with clean windows. But sparkling vistas and a fresh, clean outlook aren’t the only benefits of making the switch to a window cleaning service. Check out the other joys of giving your windows the ultimate cleaning treatment. Washing windows is always a chore, no matter what type of spin you put on it. It’s never quick and it’s never easy. The worst part is, you could spend all Saturday cleaning windows and still wake up Sunday morning to streaks, spots, and leftover residue on your windows! WIth regular, professional cleaning, contaminants don’t get the chance to build up on your window panes. There are several harsh environmental substances that can hit your windows and accumulate in the panes, eventually causing damage to the windows as well as the structure that encases them. Acid rain, rust, and hard water are just a few of the contaminants that get washed away each time your windows are thoroughly and professionally cleaned. The amount of sunshine entering through your windows is diminished over time when dirt, dust, contaminants, grime, and mold are allowed to accumulate. That goes for both the inside and the outside surfaces of your windows. For beautiful, unfiltered sunlight when you want it, regular window cleaning is the answer. Grime and mold can build up or grow over time on your windows. Cleaning them once per year isn’t enough to prevent this from happening! Contaminants do more than break down the structure of your window panes. They cause damage that leads to a decrease in the efficiency of your home. For example, rust and weathering that result from untended windows can cause air leaks in your home when the window seals are broken. That can lead to higher heating and cooling bills. It can also lead to problems with mold inside your home, when moisture is allowed to penetrate through broken window seals. Looking for tips and tricks to cleaning your home’s windows? Check out out our guide to Window Cleaning Do’s And Don’ts For Homeowners. 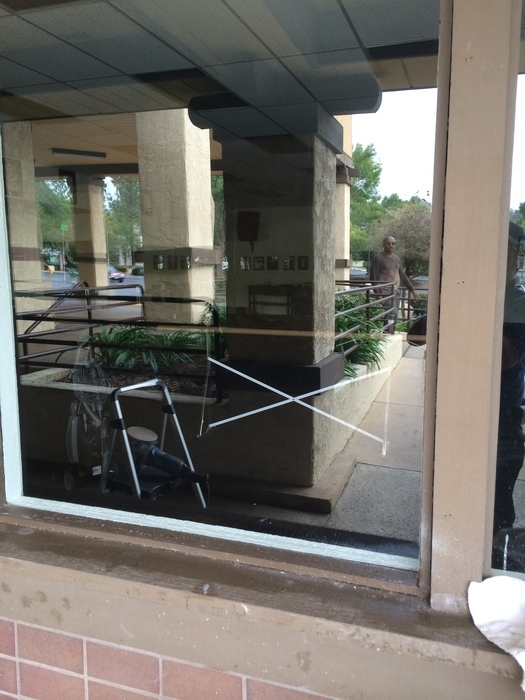 There’s nothing that turns customers off more than a dirty store or a grimy waiting room — windows included. An unkempt place of business signals that you don’t care about your customers and you don’t care about your business, either. Gleaming windows, on the other hand, make a statement: this place is a showcase and customers are proud to do business here. Whether you’re in retail, finance, healthcare or the law, clean windows are the cornerstone of a beautiful place to do business. If you have employees, a dirty workplace can be a slippery slope to bad morale. Clean windows and floors and a tidy work space help everyone stay on board with company goals and good teamwork. Natural sunlight makes products look great throughout your store, not just in your window displays. It enhances colors, brings textures and surfaces alive, and helps customers envision your products in their own lives. Natural sunlight is also a mood enhancer — when customers feel good, they stay longer, have more fun, and (hopefully) buy more! Clean windows help more sunlight reach every corner of your store. For forty years, Brian’s Window Service has been making windows sparkling clean and scratch-free for property owners in the Ventura County area. We have a small team of window washers who are trained to leave you happy and your windows streak-free, grime-free, and beautifully clean.